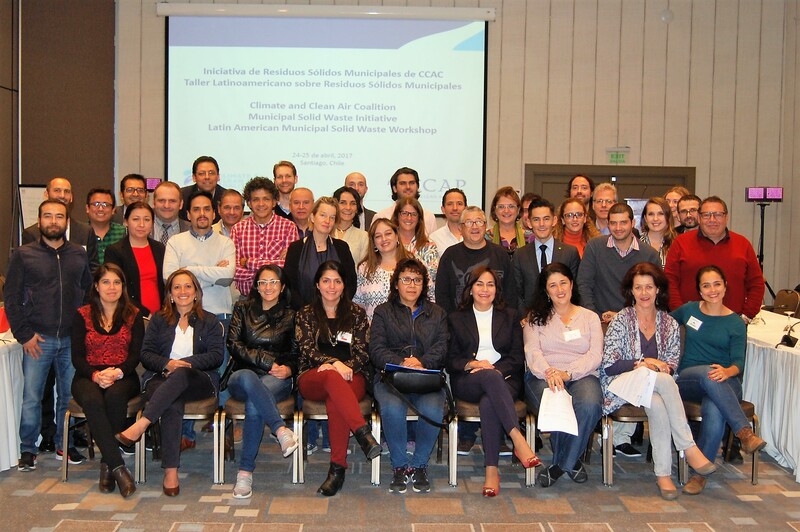 The Climate and Clean Air Coalition's Municipal Solid Waste Initiative held an invite-only workshop on reducing short-lived climate pollutants (SLCPs) from the solid waste sector in Latin American countries. This event took place at the Crowne Plaza Hotel in Santiago, Chile, on April 24 and 25, 2017. The event served to forge new connections, promote South-South learning, stimulate the replication of success stories and launch the Regional Network of Cities in South America and Mexico for the reduction of short-lived climate pollutants emissions in the waste sector. The workshop also offered the participants training on how to use tools developed by the Waste Initiative and to review relevant aspects of organic waste management, financing,public-private partnerships and other key issues for project implementation. Finally, the workshop also offered participating cities the opportunity to input on key themes they would like to engage for collaboration in the regional network and to jointly explore effective options for continuing support.